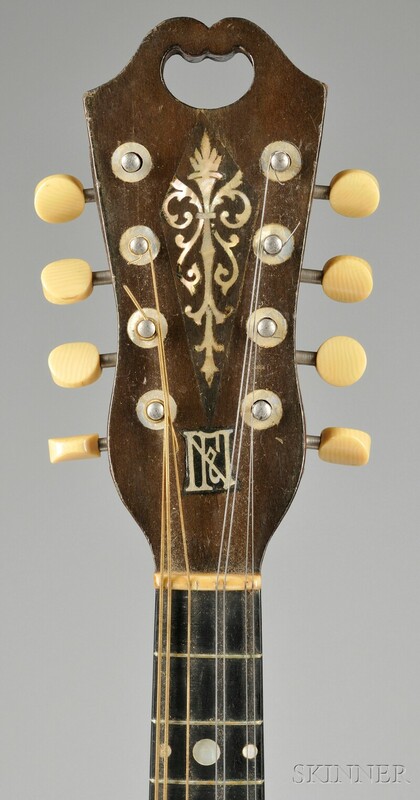 American Mandolin, Raphael Ciani, New York, c. 1910, labeled A GALIANO, RAPHAEL CIANI, FABBRICANTE DI, MANDOLINI, E CHITARRE, GARANTITE, length of back 12 3/4 in., with case. Two hairline cracks to the back, appro 5 cm., pearl eye missing on treble side of bridge. Possible clear coat on peghead face.